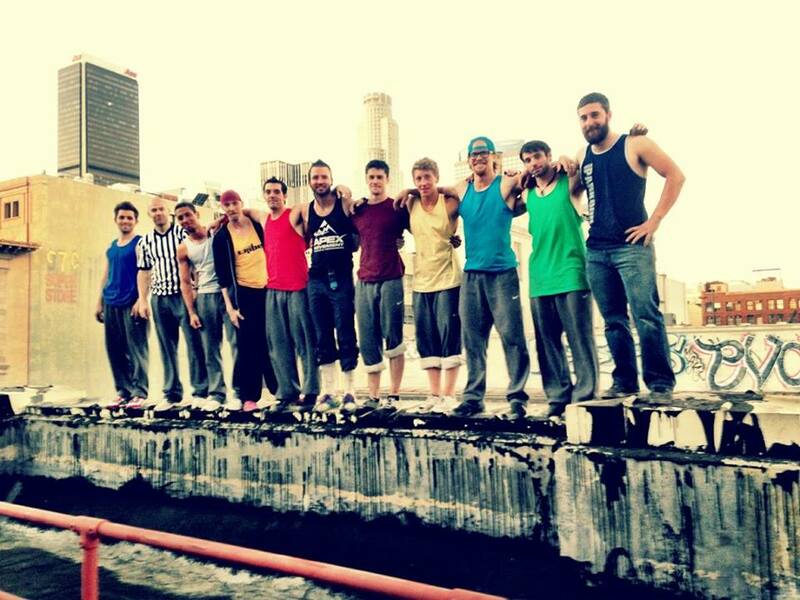 Tonight, Wednesday December 4th at 8:00PM on CBS Sports, catch the World Parkour Championship. Participants included Yoann Leroux, Brian Orosco, Alex Shaeur, Gingerbeast, Drew Drechsel, Stefanno DeLira, Justin Sweeney, and Dylan Baker. We picked some of the fastest guys from the US and around the world to race on an incredible rooftop in downtown Los Angeles, the building is an entire city block and movies like “Transformers” and “the Dark Night” have been filmed here. The producers are the same people that created “World’s Strongest Man” so it is being treated much more as a sport than any other show, with it’s 2 man head to head race only format. Top prize is $5,000. Scariest jump – 16 feet out and 12 feet down to an AC unit, sketchiest move is a small catleap that 2 people missed in the qualifiers – not a big cat, but a 15 foot drop. 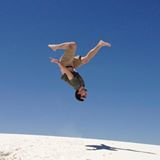 American Parkour’s Pro team (the Tribe) played roles in testing, scouting, course design, production, and judging. We’ll be live-tweeting the show, so catch us on Twitter @americanparkour. You can also follow along on our Facebook page, where we’ll have a thread dedicated to banter throughout the show! Founded the Virginia Tech Parkour club. Currently living in Silicon Valley, teaching startups how to move. Find him on Twitter. Once know as LeoNn. Retired member of the Tribe.